A terrible small car imported from the UK. It combined all of the worst parts of both American and British small cars in the Seventies. Small American cars in the early Seventies were a special kind of terrible. In those days just before the gas crisis necessitated that carmakers take small cars more seriously, a number of cars were produced with the apparent intention of turning consumers off to the idea of small cars altogether. Such a car was the Plymouth Cricket, a rebadged Hillman Avenger brought over to the US and adorned with Plymouth badges. It introduced the American car buying public at large to the problems of British cars in the Seventies. This was the car which made the Ford Pinto and Chevy Vega look good by comparison. 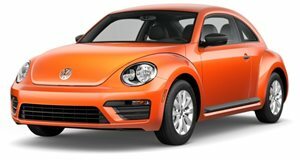 American carmakers had all but conceded the small car market to imports like the Volkswagen Beetle during the Sixties. They just couldn&apos;t bring themselves to build something so simple and so underpowered. Japanese companies joined the fray soon thereafter and the Big Three eventually had to admit that compacts were just going to be a part of the car-scape from thereon after. This would lead to such cars as the 1970 Chevy Vega, a car so flimsy that you would swear you could see right through the sheet metal on really sunny days. Ford would respond with the Pinto, a car which is more than forty years old but still famous for bursting into flames at the slightest provocation. So Plymouth had an idea which actually had a certain amount of logic to it. They understood that compact cars were not what it did best, and therefore decided that the best thing to do would be to rebadge a compact made in a market where such cars were the norm. This made sense, and Chrysler already had a UK division, known as Rootes, which was the parent company to a brand called Hillman. So Chrysler decided to rebadge the Hillman Avenger model for the American market, but only after first giving it a much, much worse name. Thus was born the Plymouth Cricket, a car so terrible that you very possibly have never heard of it, and almost none exist today. The Seventies were a famously terrible time for British cars. The country&apos;s biggest automotive conglomerate, British Leyland, set the bar for quality so low that competing brands didn&apos;t even really have to try. The American-made cars which the Cricket competed with weren&apos;t exactly the greatest in the world either, but the Cricket was somehow even worse. Hardly difficult to see how Japanese brands gained a foothold in the American market at the time. The name Cricket was chosen for the American version of the car because it was decided that Americans would view such an aggressive name on a compact car as absurd. There was also the belief that the name would help to piggyback off the success of the VW Beetle. It didn&apos;t work. The car was introduced in 1971 and was so hated that Chrysler stopped importing them the very next year, with the last few imported at the end of 1972 being sold as 1973 models. The British version was available with either a 1250cc or 1500cc engine, but the 1500cc mill was the only one available in the US, as Chrysler knew Americans wouldn&apos;t care for the smaller engine. The bigger engine produced 70 horsepower, allowing for an 18.8-second 0-60 time. This wasn&apos;t exactly quick, but that was the least of the problems with the Cricket. It would rust almost instantly (and remember that this is even in comparison to the Vega) and the build quality was terrible. The car was also incredibly primitive, even for the time. There was a belief back then that the British public didn&apos;t want any new technology in their cars. As such, cars designed for the UK market were intentionally made not to take advantage of anything new. The car was such a disaster that shortly after the Cricket debacle, Chrysler sold off much of Chrysler Europe to Peugeot. At about the same time that Plymouth was looking to the Brits to solve its small car needs, Dodge had turned to the Japanese, and were selling a rebadged Mitsubishi, the Colt. 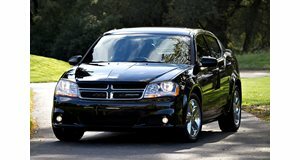 Chrysler had actually expected the Cricket to outsell the Colt, but when the exact opposite ended up happening, Chrysler would end up making up the lack of business from Chrysler Europe with an expanded relationship with Mitsubishi. It&apos;s easy to laugh at Chrysler&apos;s perceived incompetence when it comes to the Cricket, but the car genuinely didn&apos;t seem like quite such a terrible idea at the time. The car was actually praised by the UK automotive press, and sold reasonably well across the pond. American cars were losing business to cars originally designed for other markets, and it wasn&apos;t such a huge leap to think that if Americans would buy a Beetle, then surely they would buy the less weird-looking Cricket. The lesson that what works in one market won&apos;t necessarily work in another was a hard-learned one. But Chrysler certainly learned it.